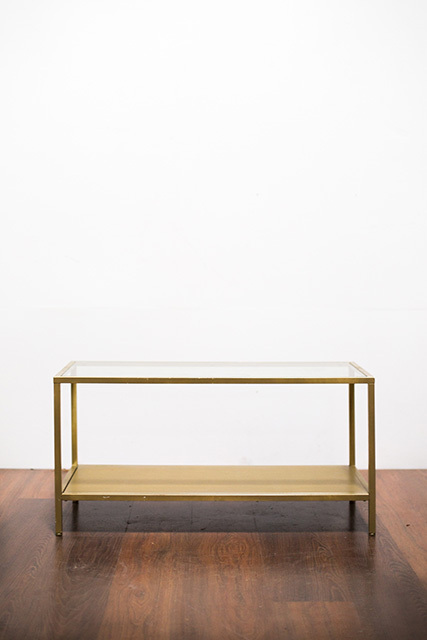 A glamorous mix of glass and gold tinted metal, this table offers a look that's both extravagent and quaint. The glass top along with the upper and lower shelves provide added dimension to any decor set up. Dimensions: 18″ H x 42″ W.